We all love fruit. It’s great! But we have a tendency to ruin it. It might seem like a great idea. It’s really no surprise that fruit juice is so popular. But to think it’s healthy is an unfortunate mistake. You see, fruit is FULL of sugar. But it also has a bunch of great stuff, which varies from fruit to fruit. But when you put it through the juicer you’re throwing away all the fibre, and fibre is key. Without fibre you have a very high GI snack that leads to a sugar spike, and subsequent crash. While a piece of fruit will actually fill your stomach, a fruit juice will not. It’s more comparable to soft drink than to the fruit from which it came. And that’s just the fresh fruit juices! Some of those supermarket pre-packaged ones have been in storage for up to a year. If you’ve ever left some juice sitting out you’ll know that it’s not meant to last that long. In storage, the oxygen is removed to help preserve the juice. An unfortunate side effect of that is a loss of flavour as well, so when it comes time for the juice to hit the shelves they throw in some artificial or concentrated flavourings and hope you’ll never notice the difference. So what can you do? Where can you turn? Are you doomed to sugary snacks and bad health? Is there no escape? Will we be able to go on? WHAT CHANCE IS THERE IN A WORLD SO CRUEL?!?! Wipe those watery eyes and put away your despair, because we are not yet done with juice! Once again, fresh vegetables come to our rescue. Their low sugar and high nutrient content make them everything we wished fruit juice was. If you have an ugly picture of green sludge in your head, you need to start being more positive! And a little more creative. The absolute backbone of the healthy juice world is something so common that it’s probably on your menu a few times this week. It’s something that you eat every-which-way. Raw, roasted, steamed, pickled and shredded. It is, of course, the carrot. 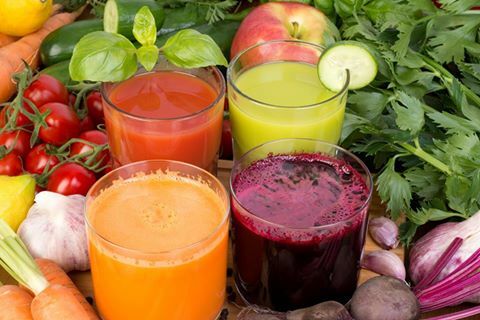 This juicing powerhouse juicing veggie gives you loads of Vitamin A, as well as Vitamin C, B6 and K. Compliment it with celery, ginger, beets (yes, beets) and kale or spinach to create a nutritional rockstar to have on the go. As you learn more about your diet and your body’s needs you can tweak your recipe to address any area of health you like. You can even hide something you don’t really want to eat (but know you should) in your juice! So eat your fruit and drink your veggies, and know what’s hiding in each. Maintaining a balanced nutrient intake is a key part of a healthy diet, and what easier way to be sure of it than to drink a well-designed juice?